To help you keep the kids busy this Easter we’re launching our Kid’s Easter Craft Challenge. 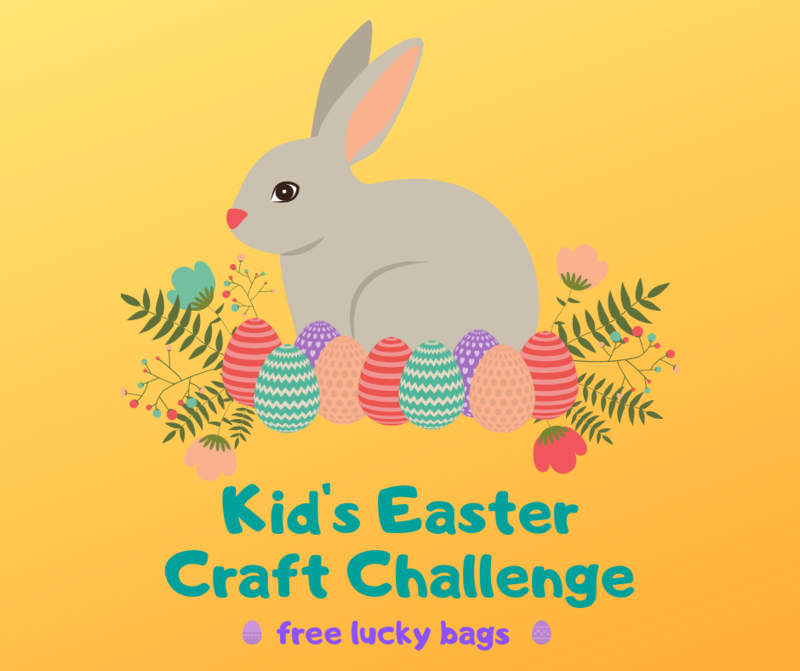 We’ve five craft ideas for your kids to do over the Easter holidays and when they have completed the challenge each child gets a FREE lucky bag and their picture on our Facebook page! Spend €15 in the shop and get your challenge sheet the next time you’re in. You don’t need any special materials for the challenge – just everyday stuff from your craft stash. The challenge is suitable for boys and girls aged 3 years and upwards. We’re running the challenge until Friday 3rd May, which is the deadline to show us your makes and pick up your lucky bags. Pop into the shop today to sign up!